1. 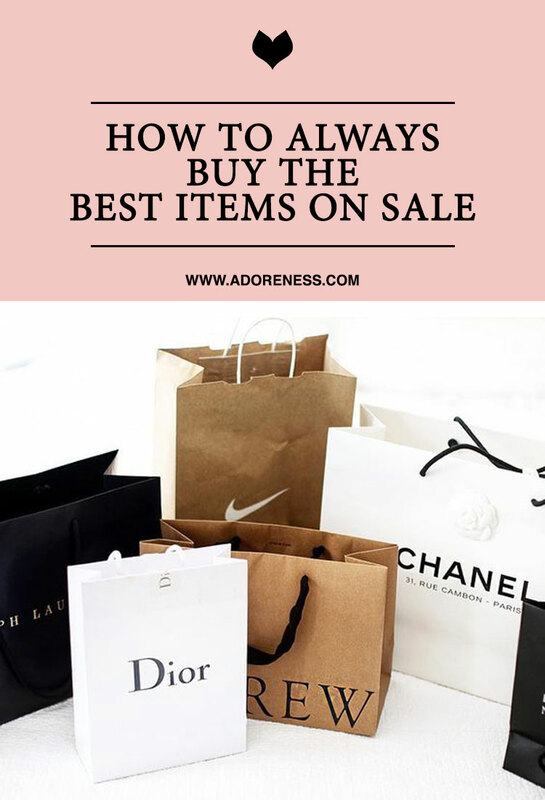 First thing’s first: understand what items really go on sale! How much wear will I get out of these? This usually applies to trendy and peak of season items. If the answer is this summer, 1-2 months, or I’ll wear it 1-2 times, it’s obviously not something worth buying. Is it worth spending the money now? Wound I still wear this when its time comes ie. next year/season? This makes sense to ask when it comes to out of season pieces. Most of the items you’ll find on sale might be really worth buying such as cashmere sweaters, or a high quality trench coat, but it’s up to you to figure out if you should spend the money now or wait and get it when the season is right. Can I wear this with 5 different outfits? This is a question you should ask yourself anytime you buy something really, as it’s really helpful when it comes to figuring out if that item will match with the rest of your wardrobe. I always try to make a plan or a little note on my phone with things I need to complete my outfits. This way, when I shop I can scout and focus on things I actually need, or was planning to buy anyway. 3. Go for Timeless, Not Trendy. Another important thing I learned when shopping a sale is to figure out what are those timeless pieces that you will wear even after the season is over. Sales are great to invest in more expensive items, that you will get more value from and which you can get for a better price. I am always looking for great wardrobe staples such as bags, boots, leather jackets, coats or sweaters. 4. Keep an eye out for those Statement Pieces! Although statement pieces are somewhat tricky to buy, I still recommend eyeing them when you go shopping during sales! When I say tricky, it is mainly because they might be sometimes confused with trendy, it-pieces. The 3 questions above will help you determine if the items is a trendy piece or a statement one! Your statement pieces should elevate your entire outfit, they should fit your style, and you should be able to wear them for years. A few good examples of statement pieces would be: unique jewelry, a leopard print bag, a pair of colored pumps or metallic sandals. Statement pieces look different for all of us, as they really depend on our style, so always be hunting for those items that feel like you and which you can wear for years! Check out our best items to buy on Sale! Take Up to 40% Off Top Designer Collections!